Microsoft Publisher is more responsible than anything else for helping me see the value in using Evernote as a word processor. Over four years ago, I switched to Mac (best technology move I've ever made). And while I bought MS Office for Mac, it does not come with MS Pubilsher. So I essentially lost access to years of Bible Class/sermon notes and packets/details for youth events. 1. Accessibility. I don't have to be on my computer to access the files. And I don't even have to install Dropbox or another cloud-based file management application. 2. Backup. Notes are automatically stored (and thus "backed up") on the cloud. If something happens to my computer, I can still access the files through the internet. 3. Notes > files. I prefer the ease of searching through notes as opposed to searching for files through Mac Spotlight (as awesome as Spotlight is). They're already open, so I don't have to open and close files until I find the correct one. 4. Powerful, extensive search. Evernote searches text inside photos as easily as it does notes. 5. Fewer formatting options. I'm a designer. I'm all about visual appeal. But words are words. When I'm typing them, I don't need them to be pretty. If I'm being honest, seeing only text while I type helps me to focus on the content as opposed to any decorations I use. I can then easily and quickly copy and paste the text into Pages, Text Edit, or whatever for easy formatting. Not only is this not a hindrance, I prefer to think of it as a strength. 6. Organization. It's been easier for me to organize with Notebooks and tags than it is for me to use file folders on my hard drive. Much easier. 7. Memory. I love finding older notes I've saved in Evernote but forgotten about. I rarely do that with simple files and file folders. 8. Connect-ability. I can create notes by sending an email or tweet, using the Evernote web clipper, sharing from Feedly or my mobile browser, or directly through the application. 9. Integration of content. Most anything that I've typed and need to reference should already be in Evernote for easy access. Examples: illustration references and ideas, related articles (tags are so helpful with both of these areas), event details, and personal memories. There are plenty of amazing new advancements in technology, but for my needs in word processing, I don't need bigger, faster, shinier, prettier. For me, Evernote is the opportunity to simplify and integrate. 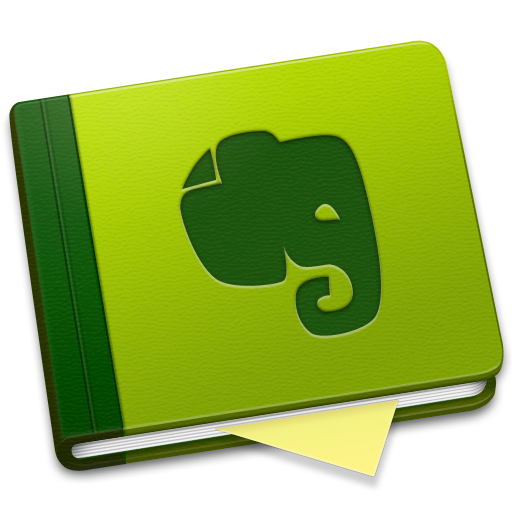 What other ways do you use Evernote?